Recently, Sandra the owner and designer of Loko Sport was kind enough to send me some crops and a jacket to do a fit review for you guys. She knew I’d be interested in her pants since they are made in Canada and in fact, the fabric she uses is from Vancouver and is Lululemon’s original supplier. How awesome is that!! 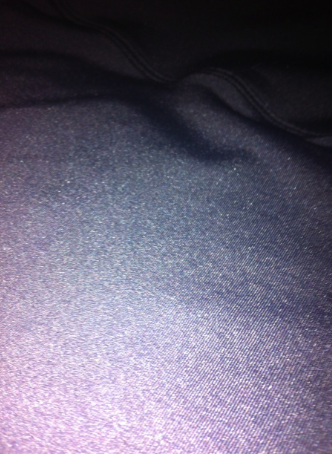 The material is not luon but it’s quite similar and so far no signs of sueding or pilling at all. Sandra has 20 years of experience in pattern making and design and has a passion for creating designs that flatter real women’s bodies with higher rises and tummy control panels. If you guys have been disappointed in the luon quality lately I suggest you give this fabric a try. 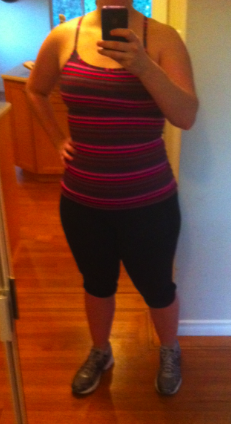 I got to try out the Clamdigger crop a in a size large (I’m a 10 in lulu pants) and they fit really, really well. I loved that the waist sat up higher and where cut in such a way that I had no muffin top at all. Usually with Luon I get immediate pilling and sueding between the upper thighs due to friction but I’ve worn these Loko Clamdiggers 3 times now to Crossfit and there is no signs of sueding or pilling at all. My Crossfit box has these mats on the floor that are slightly rough and my luon bottoms always seem to catch against them so I’m constantly worrying about abrasion on them where as these I wasn’t worried at all. In fact, I only ever wear my most trashed luon bottoms to Crossfit because it’s just not like running, my clothes really take a beating at Crossfit. This Loko Sport fabric is just as wicking and breathable as luon, has a slight sheen like luxtreme and the inside is soft like brushed luon and they’re super stretchy. I really love that it’s made without any polyester blended into the fabric which is what I think helps cause pilling in luon and also gives it the cheaper feel that we’ve all noted lately. These pants are really perfect for me for workouts like Crossfit and general gym workouts. I’d probably not wear them for running since they don’t have the compression I like or the added features (gel pockets, reflectivity, cinchable waistbands) but if you usually just wear groove pants or other basic pants for running in then you will love these. I think overall these are a great basic pant made out of an awesome material and I’ll likely buy them in the future. The jacket I got, Soft Shell all Weather Jacket is pretty similar to the Lulu Apres Yoga or Weather or Not trench style jackets. It’s the same outer softshell material lined with fleece with a really nice cut and length and deep pockets. It’s too cold in Vancouver right now for me to wear this out but it’s perfect for our usually very rainy weather and I’m really looking forward to using it come spring. I opted for the size L again in this jacket as I’m an 8/10 and I think I probably could have gone down to a medium. The arms are cut much more generously than lulu jackets and there is plenty of bust/chest/shoulder room. 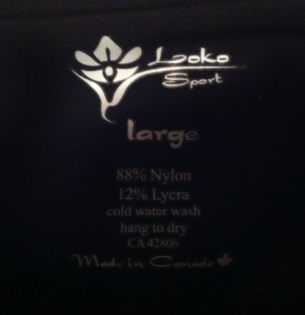 The online store for Loko Sport is not quite ready yet but it should be up very soon. For now you can check the website for retailers near you that carry the brand. "Product Drop Monday: Paris Pink and Plum Wunder Unders and Tinted Canvas Print Items"